Do you like banana? Do you like sweet? Of course you do! 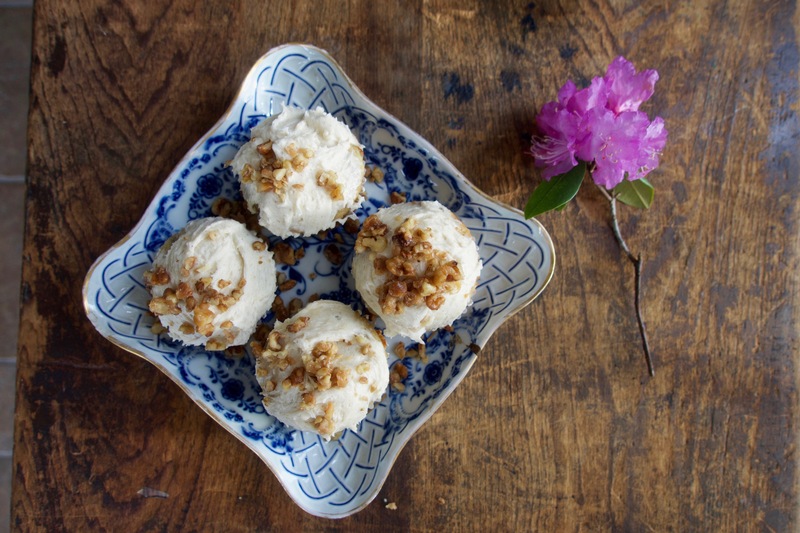 I have a simple banana-honey cupcake recipe, that you will really enjoy. Check it out..
First, peel the bananas and mash them up! Next, in a separate medium size mixing bowl, combine sugar, flour, baking powder, baking soda & salt. Make a well in the center of the flour mixture. 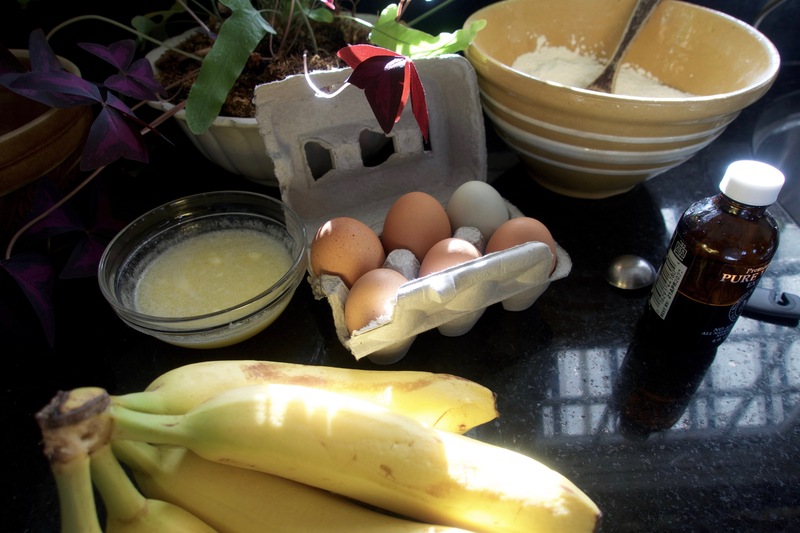 In the well, combine the butter, eggs, vanilla, & your mashed bananas! Stir to incorporate all the flour mixture but be careful not to over mix. Now you’re ready to spoon into the cupcake liners! Once filled, bake in the oven for about 25 minutes (a perfect amount of time to clean up the mess you just made in your kitchen). They should be a little bit golden around the edges. Now, you must let them cool before icing (I take them out of the pan and put on a cooling rack). 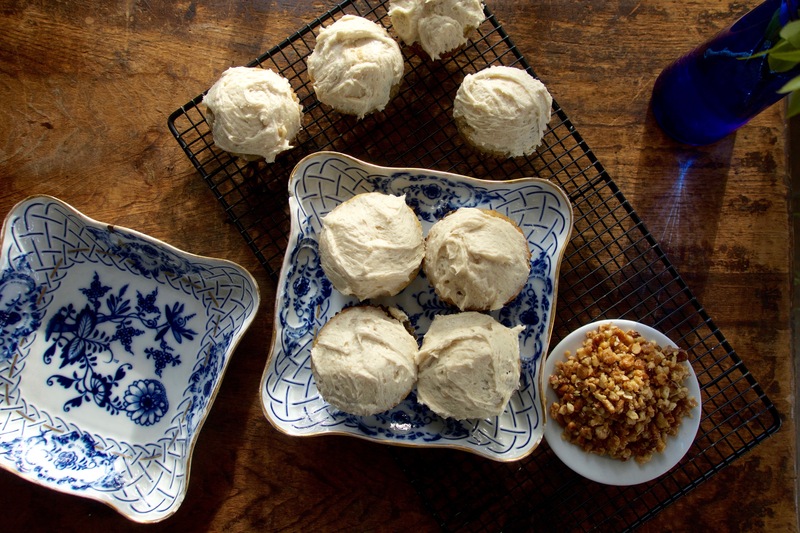 Speaking of icing… here is the simple and delicious icing recipe to pair with the cupcakes. In a small bowl with a mixer attachment, beat all ingredients until smooth. Easy! I chose to garnish these with a candied walnut topping but this is certainly optional. 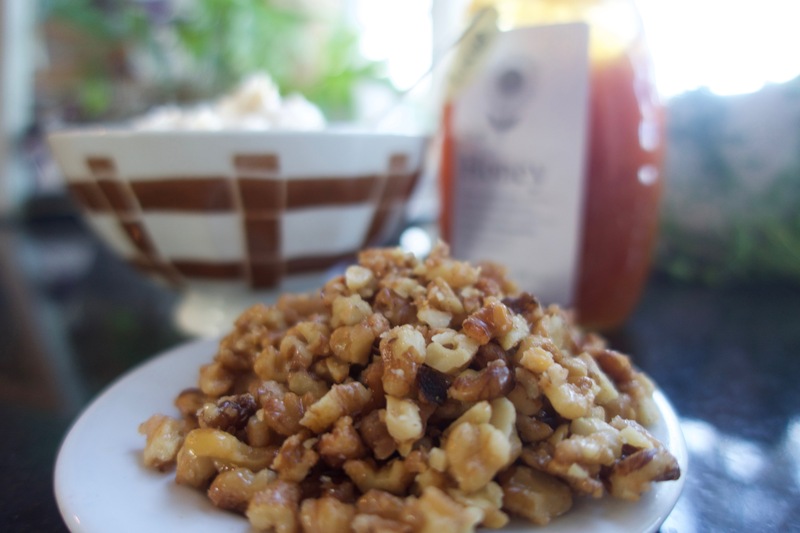 Another way to go might be to add diced, or sliced banana, maybe a honey drizzle – get creative, you can so whatever you want. Put all ingredients into a sauce pan on medium low heat and stir constantly for about 4 minutes. 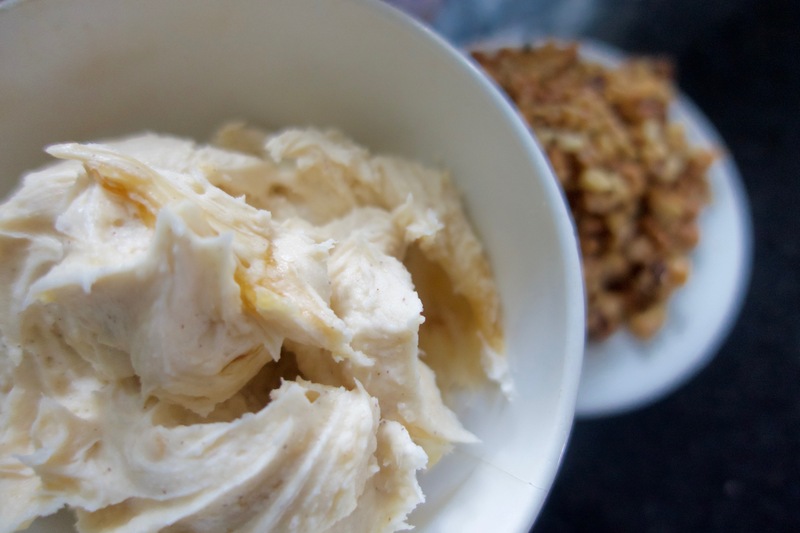 You want to melt the sugar and brown the nuts but be careful not to burn the mixture. Pour immediately onto parchment paper and spread the nuts out using a spoon. Once they have cooled (after about 5 minutes) scrape them out onto your cutting board and give them an additional quick chopping. You’re ready to top off your freshly frosted cupcakes and enjoy!